Service Printers - Service is Our Business. A Design that stays true to your brand is everything. Take charge of your brand and your wallet with our online fulfillment service. 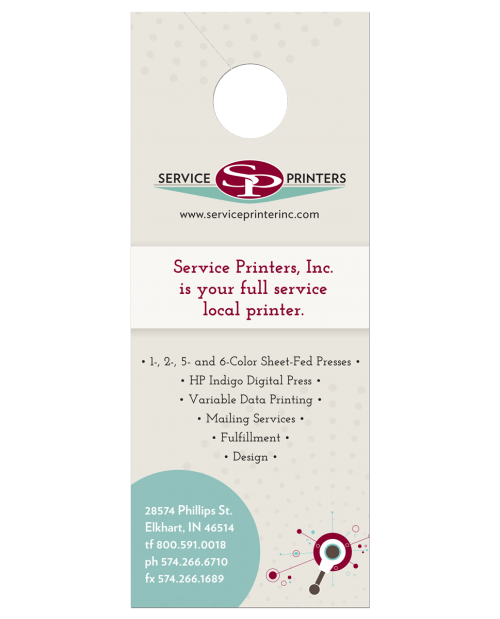 See What Service Printers Can Do For Your Business. Connect with us for company news and important updates! Variable letters are a must for a professional brand. They let your client know that they are important, and the look of a variable letter creates a sense of importance. 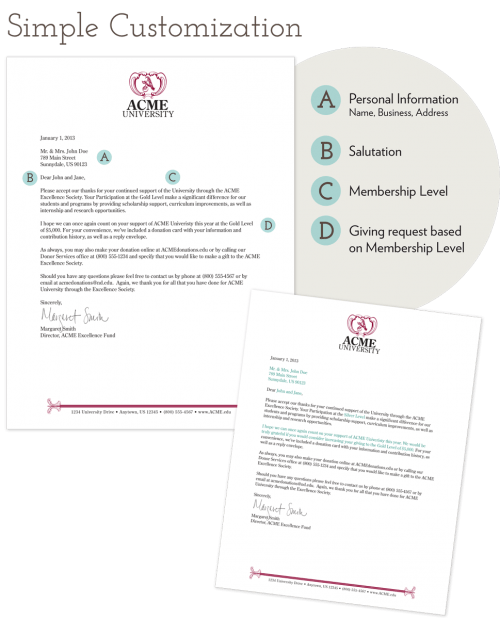 Customizations can include personalized greetings, membership data, and a customized suggested donation. 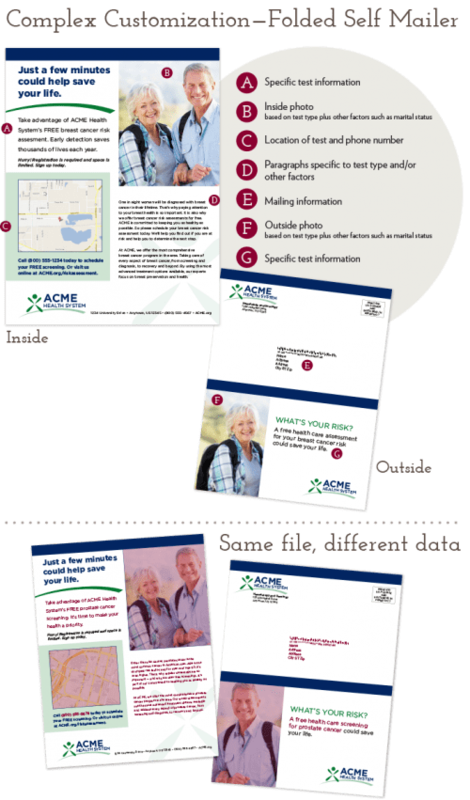 Stand out from your competition with a postcard that is tailored to each specific client. 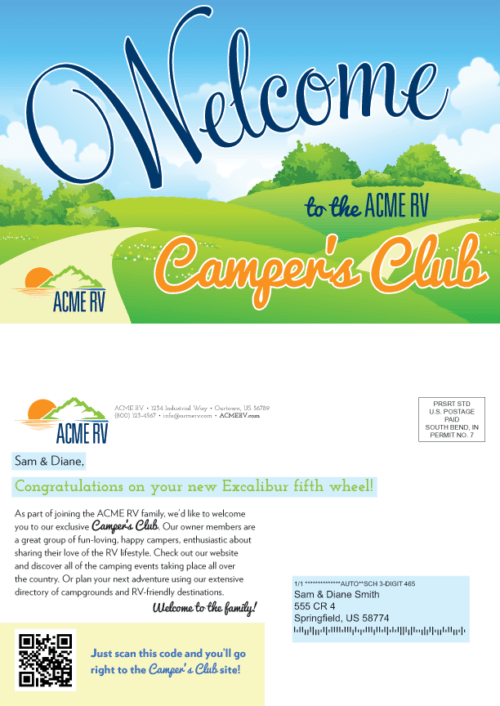 Great uses are for customized coupons, appointment reminders or personalized greetings. Spread your message, highlight a service or start a marketing campaign with promotional items. We will work with you to develop materials that showcase your brand, and help you stand out from the competition. Stand out from ordinary literature with a die-cut piece. 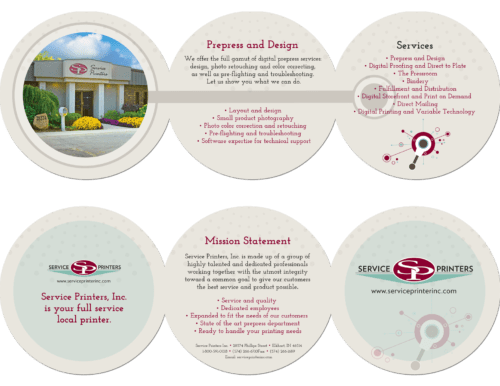 Service Printers can work with you or your designer to choose from our many die-cut shapes, or let us create something unique to your vision. Our Complex Variable Data option is perfect for when your piece needs a personal touch. All variable text and objects are database-controlled, which allows you to add or remove text and images based on a specific set of criteria you control.